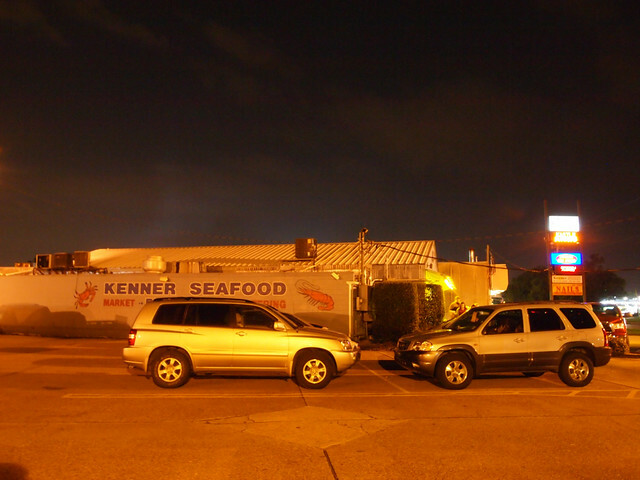 Kenner Seafood is both a restaurant and seafood store. We found it on our GPS as it was nearby the Sam’s Club we were visiting (we always have to stop and see what new Saints fear they have) and it wasn’t too far from the Days Inn where we were staying either. They offer a wide variety of seafood and shellfish options including crawfish and oysters. A good part of the menu is fried, so be prepared for that, however, you’ll also find gumbo, jamabalaya, pastas, salads and po-boy sandwiches. 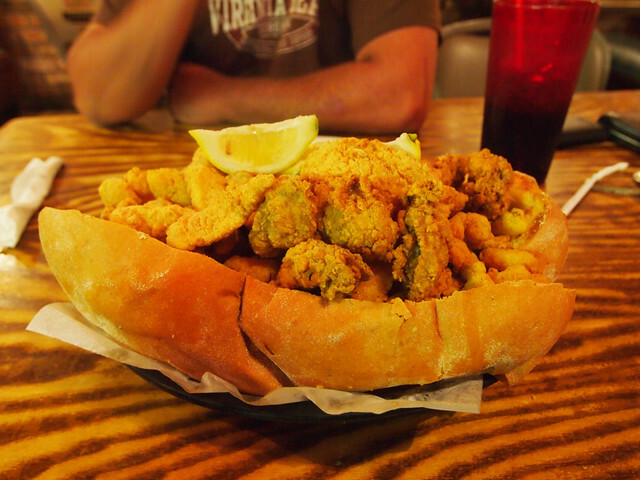 We went with what they called a “boat.” It was a big loaf of French bread, hollowed out and then filled with Cajun potatoes, fried crawfish, fried shrimp and fried oysters. Yes, it was all very fried, but actually pretty good as well. It fed all three of us and then some. I think my only complaint would be that it needed a bit of moisture. The bread was a bit dry and then there was the breaded and fried seafood. You had cocktail sauce for dipping, but still it was a little on the dry side. The atmosphere is unique. When you enter, you’ll enter the seafood market area where you can order to go food or cook at home options and seafood. You keep going through to the restaurant area to the right to be seated. The walls are covered in posters for the New Orleans Jazz Festival dating back over 29 years. The décor was very New Orleans focused whether it was the jazz posters or New Orleans Saints sports stuff. The service was good and attentive. Our server was very busy, but she took the time to explain to us what the “boat” was and what it entailed as well as what options we had with it. The Seafood Boat is $18.95, which isn’t too bad since a family of three ate off of it. We were very satisfied as well, so I would say it is a pretty good value for your money. There other menu options look reasonably priced as well. We would probably come back to try some of their other Creole and Cajun options. You can see the full menu as well as their other offerings at KennerSeafood.net.